A full color children's book written and illustrated by Celeste Lai & Peyton Skyler. Based on the children's play The Blue Horse which they co-wrote, the book and the play debuted in Shang Hai, China at the Theatre Above summer children's programs in 2016. The play is still touring and showing every summer in China. 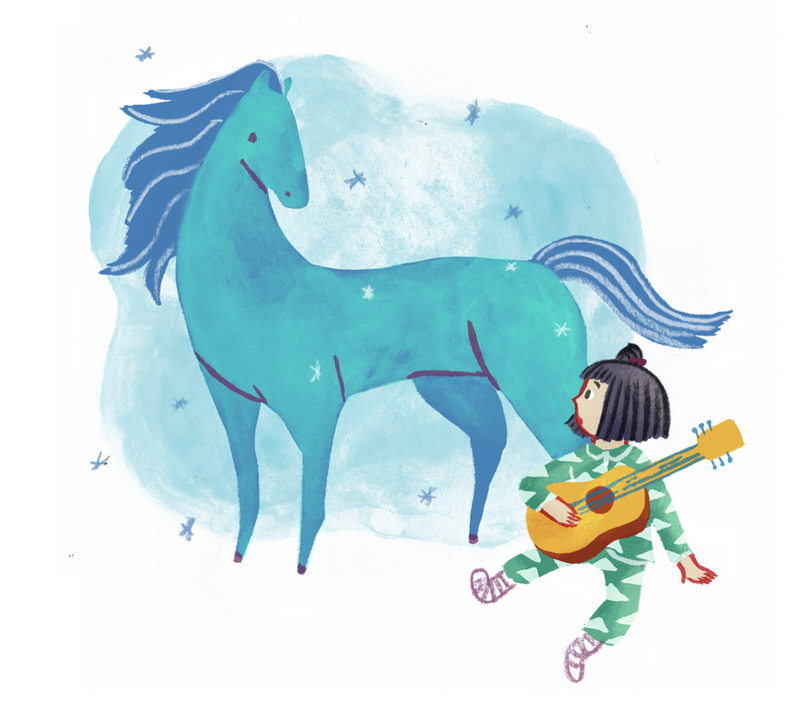 The Blue Horse tells a story about a young girl named QiQi who is musically talented, her mother wants to send her to a prestigious school that trains classical pianist. 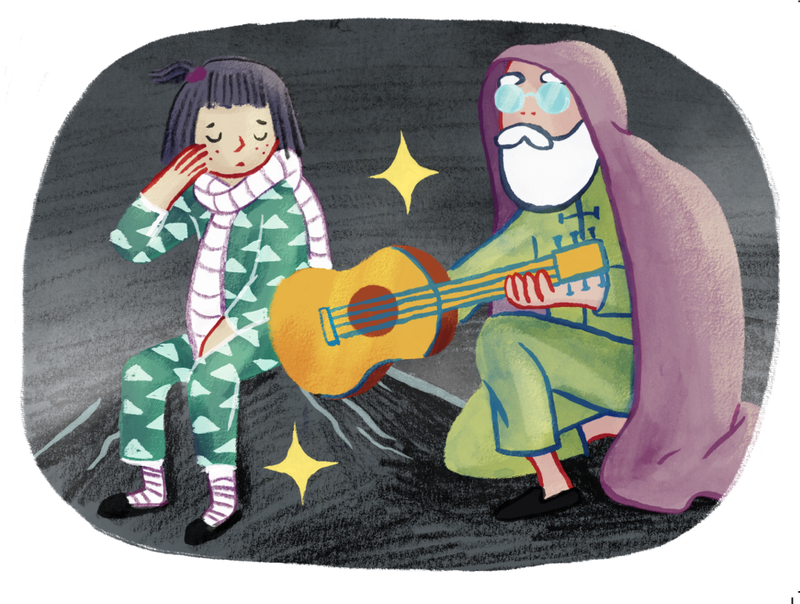 However QiQi has her own dream of writing her own songs and playing the guitar. In the middle of the night, a grey horse came to her window seeking water, as QiQi plays her song to the grey horse, it turned brilliantly blue, and they go on a desert adventure retrieving disappearing oasis with the desert hermit.